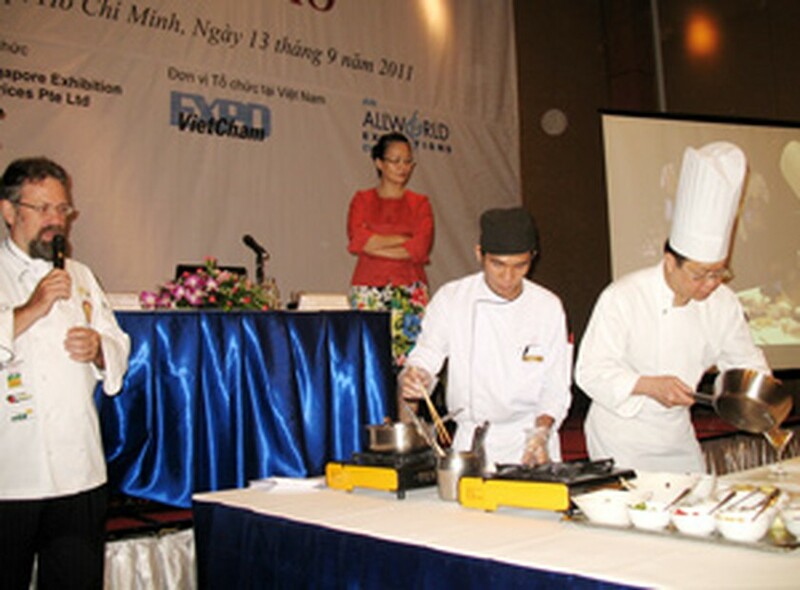 The Vietnam Culinary Challenge 2011 will take place in Ho Chi Minh City on September 28-30 as part of Food&Hotel Vietnam, an established international food and hospitality trade event held every two years in the country, the organizers announced Tuesday. The Saigon Professional Chefs Guild organizes the challenge to promote Vietnam’s culinary standards and help members to gain experience on a competitive platform, said Chef Norbert Ehrbar, vice chair of the association – a member of the World Association of Chefs Societies (WASC). The competition also aims to share culinary expertise, knowledge and ideas with other chefs within the regional culinary community, the Swiss chef added. The judging panel includes renowned chefs from Vietnam, Singapore, Malaysia, Thailand, Hong Kong, Macao, Indonesia, Germany, Switzerland and Australia, and is headed by Swiss chef Otto Weibel, a WASC-approved judge. The other judges include WACS global master chef Marco Brüschweiler, Sam Cheah from Malaysia, Perry Yuen from Hong Kong, Ms. Bui Thi Suong of Vietnam, Australia’s Michael Strautmanis and Ms. Peachy Jabuan from the Philippines, a cake designer who has written different books on cake design, Mr. Ehrbar told a press briefing. The Vietnam Culinary Challenge was first held in 2006 and has become an arena for chefs to exhibit their culinary skills and techniques in a competitive environment. In addition to this year’s competition, the trade show Food&Hotel Vietnam 2011 also includes the Vietnam Barista Competition for coffeehouse employees who prepare and serve espresso-based coffee drinks. The competitors have to come up with various specialty espresso beverages under the watchful eyes of an international judging panel. 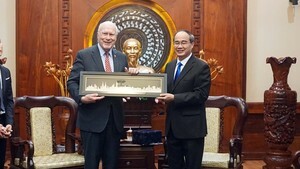 Food&Hotel Vietnam 2011 will take place at the Saigon Exhibition and Convention Center in District 7 on September 28-30.